We all proud of you. Congratulations for your successful mission and your exceptional contribution in …bringing spaceflight to earth! Please accept the invitation to be the Honour Guest at the 2nd IAASS Conference “Space Safety in A Global World”, 14-16 May 2007 Chicago (US). I think you are an amazing person. Most Iranians I met both inside and outside Iran have impressed me but your achievements and attitude is an inspiration to everyone. Thank you for this wonderful account. Wonderful,wish I could afford to be with you…………………………someday…….maybe………………..if I win the lottery! Anousheh, welcome back to the earth. The red roses are from all modern people of this world. You gave to the menkind more than $ 20 mill back. You gave visions. man Faezeh Dadkhahi yek Irani 15 sale hastam ke dar Tehran zendegi mikonam va az inke yek khanome irani be faza raft kheili khoshalam va gozar ISS ra az asman Tehran didam . man ham dost daram rozi mesle shoma yek gardesh’gar fazaei shavam. baraye SHOMA arezoye forode movafagyat amiz va bahrozi dar zendegi mikonam. Anoushey. In my body beats two hearts. My unborn daughter definatly made this way you beginns. You gave future. Yesterday we red your spaceblog in german language. You get a big big big applause! The two young girls who translate it now want to get an astronaut too. It was the 1st reading in germany, much medias are interested. hello …. so happy to see ur safe landing …. welcome back beside ur family …. as u say ur dream came true and now u will not say it dream it will be a goal to develop trips like this in space industry … dear Anousheh realy we r thank u that u share vth world ur indescrible experience when i myself read ur blog i get imagin that i will be in space a day too … realy all in world r proud about u espeacialy iranian women …. i even can say that u show a new horizon to young ppl like me …. that we will do works basically to improve world not just limitary area …this show we think big … and u r first person that u showed these ways to us … vth many thank u to u and ur family … like always keep ur smiling that we like 🙂 🙂 …haapy to see u here ,again …. vth the best wishes for u and ur family …. take care 🙂 …good luck . khosh oomadi anousheh jan .
Arze tabrik be to va khonevadat. We smiled with you, cried with you, prayed for you, played with the same apple in our minds, read your writings, felt you in our hearts, were worried for your safe return, felt relieved when saw your face on the face of earth again, learned from your decency, were proud to see both flags on your space jacket, enjoyed the new hopes you revived in us, and in one word we loved you as you loved us. Live long and prosper and continue to discover the wonders of space. This is not the end, this is the beginning. I just saw the video of your landing. You could never make us more proud when you started to talk in persian in your press conference. When you were in the space you had at least one nation with you. Good Luck with your ambitious ambitions. with us this amazing adventure of spaceflight more detailed. in the future and thank you very much! salam. omidvaram ye rooz too iran betoonim bebinimet. nemidoonam chy begam bad joory geryam gerefte shabyhe hamoon haly ke to toye faza dashty. ghabele tuzyh nist harchaeghadr ham bekhay dar moredsh tuzyh bedy baz nemishe oon ehsasy ke dary bayanesh kony. mikham begam barat arezooye movafaghyat mikonam ke montehaye oon residy.valy hamoon joor ke khodet gofty arezoo konim ye rooz byad ke hakemane zamin dast az jenayato khoonrizy bardaran va solh hameye zamino fara begyre va hich gorosney vojood nadashte bashe. Welcome home and congratulations to a good landing !!! Glad to hear/read that you are safetly back. Proud of beeing your hamvatan..
commente qabli nemidoonam send shod ya na.omidvaram dar karhaye ayaneyetan ham movaffaq bashin.hamisheh bolandparvaz va motmaen be inkeh be hadafetan khahid resid. in arezooye u arezooye man niz hast va khad bood. 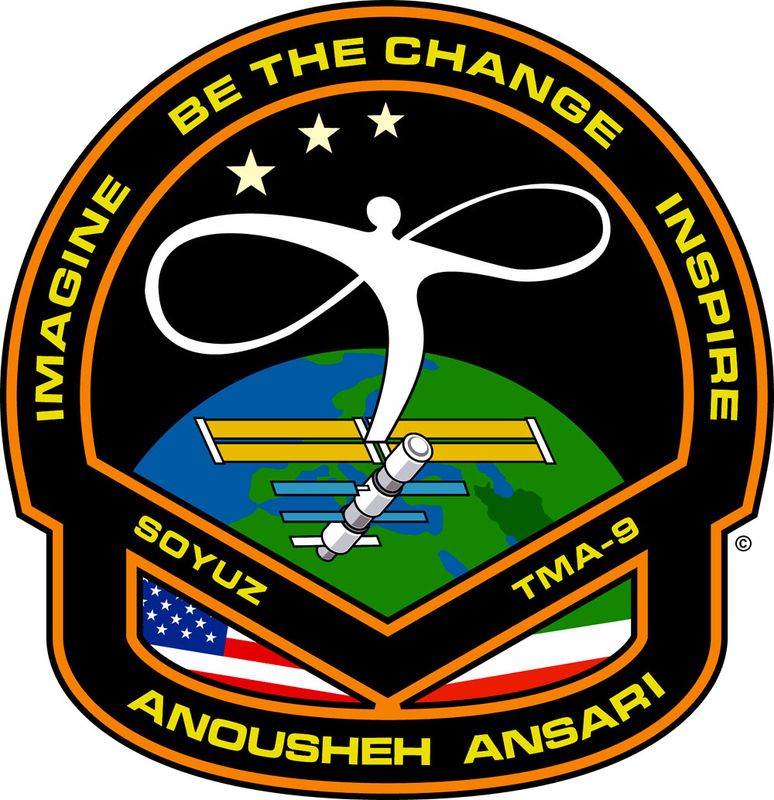 Coingratulations Anousheh & Welcome backl to Earth! You have now seen your dreams come true and energized women and men around the world, for that you should be very proud! Khanom Anousheh Ansari Ba salam beh shoma va khoshhal az bargashte az safar vovafaghiyat amiz shoma az mosafarat fazaei. Beh in vesileh mikhastam beh onvan yek irani dar keshvar Norway in pirozi ra semimaneh beh shoma va Khanevadeh mohtarametan shad bash migoyam. Dar khateh pirozi va shadkami shoma ra dar hameh salhay zandegi az dargah aferigar hasti arezo mikonam. خیلس خوشحالم که به سلامتی به زمین برگشتی. Welcome home my dear student! I am very happy that you’re healthy. I prayed for you. Welcome Back! We are very glad that you are back home safely, with lot of knowledge & experience from the space. It was really wonderful to listen to your encouraging and interesting words from the space. You are an unique example of, “if you persist you can reach your goals”. I think much of the credit also must go to your husband. Wishing both of you all the best. congratulations at your huge success.i read your comment before the departure to space. you said, you like to see -how small and vragile this world in comparison of the universe. thanks for the great words. wish,everyone in the earth would have believe the same. carry on the good works and mingle in to the hearts of million. خبر سفر موفقیت آمیزت به فضا سرشار از غرورم نمود. از اینکه یک هموطن ایرانی به این موفقیت دست پیدا نمود بسیار مشعوف و خرسندم. امیدوارم ایرانی بمانی و ایران را در عرصه های علمی سربلند نمایی. اميدوارم كه الان حالتون خوب بوده باشد و به سلامتي از فضا برگشته باشين به عنوان يك ايراني خيلي به شما اهتخار مي كنم و اميدوارم كه هميشه موفق باشين. از خاطرات فضا نوردیتون بدین . البته اگه نمی خواهید که کتابش کنید . خیلی خوشحالیم که شما ایرانی هستید . نمی دونید چقدر خوشحال شدم وقتی فهمیدم که به سلامت فرود اومدید….! نوشته هاتون اونقدر قشنگ هستن که چندین بار می خونمشون…..
احساس می کنم خیلی وقته که می شناسمتون! و…..یکی از بزرگترین آرزو هام اینه که از نزدیک ببینمتون!! I read whatever you wrote in this blog during your trip.They were very nice. I could imagine whatever you explained. I THINK ITS PREETY COOL 2 SEE HOW THE APPLE STARTS FLOATING IN THE AIR, BUT I WOULDNT WANT TO BE IN HER SITUATION, WHERE SHES ALL ALONE!!!!! vaghean khoshhalam ke be salamaty bargashty…..
az iran baz kardan film haaie ke gozashty yekam sakhte vali khob! hamegy mosallaman kheily khoshhal mishim age akso film haaye bishtary ro bezary…..
omidvaram hamishe o hame ja (che dar zamin che dar faza! ;) ) moaffagho sar boland bashi….. Welcome back safely. What a remarkable adventure & career you are having. You have my respect. I am really happy you are at home and you re fine. You are very warm welcome to home, the Earth!! I have a proposal for you about Iranian dirls that you may be intereted in to hear. i wish u reach ur next dream! p.s. may i ask u to write ur feelings in persian? تبريك من و تمام هموطنانت را به دليل اين سفرت افتخار اميزت و بهتره بگم اين سفر افتخار آميزمان را بپذير. بازگشتت به كره ي خاكي را صميمانه به تو خوش آمد ميگويم اميدوارم در تمام طول زندگيت موفق باشي. من اين اطمينان را به تو ميدهم كه به تمام هدفهايت در خصوص اميد به مردم و (خواستن توانستن)را به بهترين شكل ممكن حداقل در ايران انجام دادي. باز هم به تو تبريك ميگويم. I’m very glad of your arriving safe. I write you for second time. It was my pleasure to continue your journy to the space for several times a day during your trip. It would be my pleasure to visit my blog & leave me a comment. Because I have written a letter to you when you were up there. بازگشت پیروزمندانه شما را به زمین تبریک می گویم. به هم وطنی با شما به خود می بالم. I am really happy you are at home&you re fine. Truly you are an inspiration and amazing woman. I hope you continue to be such a shining light for all people, as you have been to me. Thank you for taking ‘us’ on such an amazing journey with you. Wow, I just discovered your BLOG and was moved by your comments. You are a successful business woman that has decided to do something very worth while with your wealth. You are a great example of how one person can have a profound effect on others. I think your daily writings will inspire youth and especially young girls to realize that they can work in any career field that they want. I hope, as you do, that young girls will look at what you have accomplished in space and realize, that could be them some day. I work at a university in Ontario, Canada and I am involved with a program called Scientifically Yours. This program shares many of your ideals and values. The program is a 3 day science camp for grade 11 girls with the same goal of encouraging young girls to pursue an education and career in science. I feel that this program is quite unique in that the girls that are chosen to attend this camp actually live here at the university for the duration of the camp and get to experience university life, albeit for a short time. If you are interested or in Ontario in or around May, I would love to have you come and speak to the girls. I think it would be another opportunity to have a positive impact on youth. You should have my email if you are interested, please let me know. I am sure that you have had a profound effect on young girls all over the world. I think you and your husband are terrific inspirations and your feat is a truly remarkable one. I wish you and your family all the best now and in the future. I look forward to your future involvement in the field of aeronautics and space travel. You are truly making a difference in the world that we all live in. I hope you did not steal any of our comet dust supply while you were up there. I would, however, invite you to join us on our next mission with Captains Kenny Rogers and Larry Holmes. We are very happy that you had a safe return to earth. We kept our eyes on the TV screen to follow up the entire event. Well done, and all my respects to you, for what you have been able to accomplish, and teach us by sharing your experiences up in outer space. Congratulations to you, your husband and all the team of people, working in the backstage, all around the world, that helped to make this happen, as well as to your expedition colleagues: Pavel, Jeff, Michael, Mikhail and Thomas. Welcome Home. It’s a double take for me here in Nigeria. One, I welcome the young Nigerian schoolgirl who went for ZeroG flight at KSC and two I welcome you back from true space. You both paint the potrait of the future. and money you payed to agencies for this journey , will be a source for more scientific research & space exploration , such as your sponsership in xprize which activated someone try to research and investigation ! which all of this scientific tasks and exploration are necessary for human beings in future .. I say this against who think it was better to allot this money for improving poverty in the world ! cutting poverty in all of the world needs a great plan and great time and a great will ! I BELIEVE GOD creats in every body really UNIQUE aptitudes ,I wish that ideal era which every body do his /her best to discover his/her aptitudes and tallents , and try to utilize them …. in that time all humanbeings will be prosperouse and satisfied ! Wow – what an experience! I read about you and the travel, and I too want to go to space one day. Tell me, what was your thought at the moment of blast off, and then you got to orbit? Welcome back to earth. It makes me proud to see an Iranian woman going so far!!!! Look forward to seeing more detail about your experience. What can I say here that nobody else has not said? Just please accept my contgradulation for fulfilling your and our dreams. No matter what everybody say, you have make our hearts full of pride for being iranians. We have so little chanse lately to feel like that. Please write a book about your journay! License. One thing this event teach us is if anybody works hard dream comes true. Always be positive. happy that you had few QSO and may be two from Iran. Too bad it was very short event and to late to orgnazi any contact with you. But good thing was that few people got intersted of Radio Amateur. NEMIDOONAM CHI BAYAD BEGAM …… FAGHAT HAMIN …. DOOSET DARAM, DOOSET DARAM VA DOOSET DARAM…. Who benefitted out of this? بسیار خوشحالم که به سلامت بازگشتی . پیام صلح و دوستیت بسیار زیبا بود . به امید صلح پایدار برای تمام جهانیان . ایران به شما افتخار می کند . I write to you from Germany. I have kept up to date with your journey to ISS from the very beginning. All the best and keep it up, warm greetings from Berlin. I am relieved you are back in good health, all the time you spent in ISS Iranian spent in worry, one of those sweet worries mums got for their kids, your are millions of Iranian child and we were all worried about you the last thing Iranian and all your fans around the world wanted to happen was this trophy ending in a tragedy. We know you are writing from bottom of your heart and this is the reason too many people love you purely with no expectation from you. My 60 year old mum is so inspired to ask me to make a t-shirt with your logo on it for her, I will send her picture to you while wearig her the t-shirt to you later. Happy to see you again on the Earth and congradulations on your successful journey. I wish u success in conducting your plans in this field. Please write more about your experiences pre&post reentry to atmosphere. I am waiting to read more from you. welcome to earth (in your home) ,im very happy because your health came to earth. see you in iran !! So many of us dreamed as children to go to space. You did it!! !What a truly inspiring and selfless women you have been to share your experience with us.I can’t think what life will be like now without your accounts. We will mourn for your inspiration, insights and blog entries. We read and dreamed and tried to imagine what it is like to be with you in space. I thank you so much for sharing your experience and your heart with us. It truly was priceless. You are an excellent writer and I encourage you to write a book, it will be a best seller guaranteed. I will buy it. Great really.Nice to hear that your childhood ambitioned has fullfilled.Actually i am indian and visited iran and found the people are very good and me proud specially being female from iran,you showed the peoples of iran and encourage them to study in science.Well done!!!!!!!!!!!!!!! !proud of you having a girl like you.Wish you safe return. NICE TO HEAR THAT YOU ACHIEVED YOUR GOAL.THOUGH I AM NOT IRANIAN BUT PROUD OF YOU.WELL COME BACK SOON. I’m sure,you will succeed in next programs which has planned for near future. all of iranian people honor you and waiting for new news from you. My name is shahab, and i am 10 years old, and i was born in vienna, austria. Welcome back home, and i want to tell you, that we admire you in our classroom, and we are proud on you. I want to ask you, how was your landing, and did you observed any planets during your journey in ISS? do you have any childrens? من تمام مدت برات دعا می کردم که موفق بشی . خوشحالم که به خواستت رسیدی. دوستت دارم وامیدوارم یه روز مثل تو این سفر رو تجربه کنم. i am so fascinated by your mission.. not just by the experience but by your thoughts leading up to it and your deliberations.. your path from conceiving the idea through to take off..
you have some amazing power now.. u have seen us from afar.. not just as an astro/cosmonaut but as a “credible objective bystander” and as someone who crossing a divide in affiliation (at least according to the media)..
i hope you dont let it go to waste.. $20M is a lot for a shortlived adventure.. but you the power to make some very significant changes in many people’s lives for the better..
i hope you take the challenge..
for some reason some of us can’t see videos in the blogs, but we can see them throug the new video page… except for those which are linked to the blog. Possible to do something about that? J’ai appris que vous parliez le francais? I can sense that you are a catalyst to a chain reaction of hearts opening and understandings developing. You have proven to all of us that you will accomplish your dreams, so dream big, dream for all of us, and dream for peace. Every once in a while a person will walk on earth with the power to change the world. You are one of those people and you have literally millions of people on your team supporting and encouraging your efforts. I hope that you will develop something here on earth that will gather the love from these millions of people you have inspired. With that big a team and you as a guide all of our dreams for peace on earth shall be accomplished. I hope that the US and Iran and all countries and people will be able to identify with the fact that we are all really the same, so lets work together and make this a wonderful loving world. Call on us we are a big team behind you!!! bazham behet eftekhar mikonam. hamin emshab az shoma va royaye mohagag shodeye shoma va inke elham bakhshe kheiliha hasti sohbat mikardim. raahat edame dar baad. Peace be upon you. Welcome home! I thank God Almighty for making your dream come true, and also for helping you experience what you yearned for since your childhood. Mi de tuta spirito gratilas vin kun grandan atingon! Estis nekredeble agrable observi por vian flugon! Mi deziras al vi rapidan repravigon kaj novajn sukcesojn! Cxion bonan al vi kaj vian familio! خوشحالم كه سالم برگشتيد. به عقيده من توريست فضايي بودن و يا تجربه بي وزني و امثال آن مهم نيست. چرا فرهنگ حافظ و سعدي را زنده نكردي ؟ چرا از خواجه نصيرالدين توسي ايراني از بزرگترين دانشمندان ستاره شناس عصر خود يادي نكردي؟ از شما به عنوان يك فرهيخته انتظار بيشتري بود. Let your good wishes materialize as pictures! Anousheh, congrats on your successful trip. What you have accomplished through your action and messages will be reflected and bear fruit when millions of people across the nations, especially Iran, will feel less boundaries in pursuing their thoughts and dreams. Afarin, 100 afarin. Knowledge, unlike other possessions, appreciates when shared. khanoome ansari salam be khoda nesfe omr shodim ta omadin . az zamani k zamino tark kardid hameh in roozaro lahze shomari kardim. vali hala az samime ghalb behetoon tabrik migam. tabrik vase inke talkho shirin,khobo bad,zeshto ziba,jango solh hamero bekhobi fahmidid. kholase tabrik vase hameh chiz. va arezoo mikonam khodavand hameh arezoohaye kochako bozorgetoono ejabat kone. Bravo pour votre aventure magnifique! Puissiez-vous aussi découvrir que Dieu vous aime! C’est une aventure encore plus belle qui transforme la vie pour l’éternité. Que Dieu vous protège des dangers du succès, et qu’il bénisse aussi toute votre famille. I’m very very glad that you are again on earth! Our Earth needs woman like you! I think you have made many many Iranian very proud! I hope that I can reach you and have an interview with you. Hello Anousheh Ansari! Welcome to Earth! I have followed you in nearly one month. I had to see it all! I think you are a lovely person, you bring love og joy to space! Yes, you truly make af difference! خانم بسيار شجاع انصاري خدا را شكر كه به سلامتي برگشتيد و ما را از نگراني نجات داديد تبريكات صميمانه مارا براي بدست آوردن اين موفقيت بزرگ كه براي خودت و ميهن ات كسب نموده اي از جانب ما پذيرا باش. I am so happy for you, Good luck, Shahriar, Canada. Toutes mes félicitations pour cette superbe réussite. Une aventure unique dans votre vie ! Le rêve de millions de personnes qui s’imaginent un jour aller dans l’espace. Quel courage Madame. Vous êtes une idole pour des milliers de femmes musulmanes ou non. Best of luck for the future ! I am very happy because you return to the Earth with complete success. In some days ago I and my family follow your news in space . You describe as beautiful as possible your experiments in space and we enjoy reading your notes. Specially young boys and girls find new goals in your minds after your activities. All of people in Iran love you. Please continue your relationshipment between yourself and Iranians. I hope you expand your Ideas and future activities in IRAN and I am ready cooperate with you.I will be so happy. چه زيبا سفري رفتي و چه زيباتر بازگشتي ….خوش آمدي – شايد تو خود نداني كه چه شوري در دل مردم ايران انداخته اي . باز كردي مرزبين واقعيت و رويا را ….. آرزويم اينست كه بتوانم در كارهاي بعدي شما مشاركت داشته باشم. از تومي خواهم كه هميشه اين لبخند زيبايت را به لب داشته باشي …. باميد ديدار……. salam , khosh oomadi banoo . khosh oomadi khanoom ansari . be khod mibalam az in ke iraniam . ehsase ghoroor behem dast dad vaghti parchame irano ro lebaaset didam . geryam gereft vaghti gofti geryat gerefteh bood . shad shodam vaghti shad shodi , va bish az hameh inmano shad kard ke zamino bedoon jang o dargiri didi , sarshare az solh , zibaei va zendegi . anousheh khanoom , bavar kon esme irano ye bare digeh baraye ma zendeh kardi , doroood bar shoma va valedaini ke chenin farzandi be donya tahvil dadand . baz ham montazere shenidan az shoma hastam , sabz bashid o bahari . تبریکات صمیمانه ما رو بخاطر سفر موفقیت آمیز وبرگشت به آغوش زمین را بپذیر.تو نام ایران را سربلند تر از همیشه کردی.با آرزوی موفقیت روزافزون .انوشه خیلی دوست داریم et merci 1000 fois! THANK YOU FOR YOUR COURAGE AND EXAMPLE FOR EVERYONE. I am so proud to see a successful Iranian lady step to the space. I listened to your video that you were describing Milky Way and I thought it was awesome. I remember once on top of a mountain in Shiraz I saw it up close and I can imagine your description. I want to congratulate you and your family on this enormous and once a life time achievement. When you were looking at the space at night did you feel you were closer to god? How was your spiritual state when you were viewing stars and Milky Way? خانوم انصاري از ديدن يك ايراني دانشمند در اين موقعيت آنچان خوشحالم كه نميتونم احساسم رو توصيف كنم . فقط ميتونم بگم كه وقتي خاطراتتون رو مرور ميكنيد ميتونيد ادعا بكنيد كه بهتر از خيلي زندگي رو درك كردين. This is my pleasure to see you on space, next to the world’s selected scientists. I proud to you every time. I hope to hear more good news about you. And I hope to meet you one day. BE ANDAZEHYE FAZA DUSET DARIM. khoshhalim be salamat barghashti va be madar va pedaret baraye dashtan chenin dokhtari tabrik mighim.hamishe salemo khoshbakht bashi. ma niz be noube khod be onvane 2 hamvatan az in movafaghiat shoma be khod mibalim, in nist joz paymardi shoma dar residan be arezohayetan. baraye shoma va khanevade mohtarametan arezooye sarafrazi bishtar ra darim. درود برشما رفتن تو به فضای بیکران برای همه ما ایرانیان افتخار بزرگیه ، هر کجا که هستی موفق باشی . شعر سهراب تقدیم به تو ( هر کجا هستم باشم / آسمان مال من است / پنجره ، فکر ، هوا ، عشق ، زمین مال من است ) تشکر برای تمام روزهای زندگیت که برای ما هم افتخاره ____ خدا حافظ و به امید دیدار در سرزمین مادری. AZ OON BALA KAFTAR MIAYAD YEK DANE 2KHTAR MIAYAD !!! What a great milestone you have planted in human history! Among other things, I am a teacher at Bangalore International School, Bangalore, India. We have a few students from Iran at our school. None of them girls, however. I am going to make sure that they realize the significance of your achievement for themselves, Iran, and for all of us. I also hope that the boys’ attitude towards girls and women is positively influenced and reinforced by your hard work and achievement. With your accomplishment, you have become an inspiration for all of us. Is there any way you would be willing to do a live online chat with our students during the week of 25 – 31 October 2006? We are launching our observation of Geography Awareness Week at our school beginning this year. If you would consent, i am sure we could set up the necessary network infrastructure and bring our children into contact with you for a personal chat. I cannot begin to tell you how inspiring it will be for all of us. I would greatly appreciate a response from you on this. Congratulations for your safe journey. I keep track of it from the the start, and proud of you as a successful woman. Please keep on writing .I look forward to know more about your unique experiences. Have a good rest and time with your dear family. Congratulations on this truly outstanding accomplishment! خوشحالم که به سلامت به زمین برگشتید و بیشتر از ان خوشحالم براتون که تجربه ای به این عزمت داشتید و به انچه ارزویش را داشتید دست یافتید. امیدوارم من هم روزی بتوانم در این زمینه به خواسته ام برسم. ولي فكر مي كنم تجارت خوبي كردي! انوشه خانم تو يه تاجر موفقي هستي. ولي من خودم به شخصه متاسفم. سلام من و همه ایرانی ها به تو که مرزهای فضا رو درنوردیدی و به سلامت به زمین دوست داشتنی دوباره قدم گذاشتی! امیدوارم به زودی به ایران سفر کنی و من از نزدیک ببینمت. ما به تو افتخار میکنیم ایرانی قهرمان! I’m very glad to hear such intersting good news about you, as an Iranian and send you special thanks which made the name of Iran briliant and on the top of hot news of world.Hope to hear about you so much more. سلامی دوباره! یادم رفت توی نوشته قبلیم به خانواده محترمت مخصوصا همسرت تبریک بگم. فکر میکنم که حمایت های ایشون بسیار ارزشمند بوده و باید این مثل معروف رو از همین امروز عوض کنیم که: پشت سر هر مرد موفقی یک زن وجود داره. و حالا باید بگیم: پشت سر یک زن موفق یک مرد نمونه وجود داره! به هردوتون تبریک میگم. I am literally speachless. I can’t fathom words even close to say what you have done. Thank you so much for every heartfelt word you have said. You are truly an amazing person! My Earnest Thanks For Sharing Everything..
welcome back to earth and congratulation to good landing. the videos that i’ve seen in this webloge, make me and all the iranian people pride. you are an amazing woman and you made iranian people happy. i was so happy when i saw both flags on your jacket. in australia every one talks about you that how successful you are. omidvaram ke roozi hameye ma iraniha mojebe eftekhaare hamdigar shavim. Ba salam , koshhalam ke salamat bargashtid. be envane yek zane irany ba goroore ziyad mosaferate shoma ra donbal kardam va az inke bar kalafe maslehate doran be irany bodane kodetan magroor hastid be shoma tabrik gofteh va omidwaram kabarhaye bishtari dar morede movafagiyathayetan beshnavim.Az tafsirhaye manfie ke ehtemalan kahid shenid delgir nashavid, har kassi godrate darke afkare bozorg ra nadarad. انوشه ای افتخار و خاتون ایران زمین ورود دوباره و افتخار آمیزت به کره خاکی را خیر مقدم عرض می کنیم. در زمان حضور شما در فضای بی انتها آسمان شبها جور دیگری جلوه می نمود شاید که از حضور این خاتون ایرانی اینگونه نور باران شده بود. امیدوارم تلاش پر ارزش شما برای حضور یک خانم و یک ایرانی در فضا راه گشای حضور سایر هموطنان مان در همه عرصه های فضایی باشد. Conratulations for your successful journey to the space and return to earth. I hope to read anxiously your biography in space as a book in the near future. خانواده ی نوروزی فر از نجف آباد اصفهان. omid varam in message ro hatman bekhoonid va age vaght baraye javab dadan nadarin hade aghal be web log sar bezanid. doost daram in movafaghiat ro be agha hamid va agha amir ham tabrik begam. age maghalei dar morede ((rasolkheyme station)) va jayezeye X darird lotfan baram befrestid hamchenin,doost daram ba ham gofto gooye online dashte bashim vali midoonam ke arezooye mahali bish nist. baz ham behetoon tabrik migam. in sha alah too ye parvaze zir javi ba **space ship 1** hamdigar ro bebinim. baz ham tabrik migam . Thank you millions and millions of time for been who you are. For your deduction, your love, your courage, your passion. I cried from happiness when I read about your space adventure. I am sure I was one of many many people that pray for your safe retune. At end I have to say Ms. Ansari thank you for benign a wonderful pioneer of our generation and may God love you and keep you safe for all your future adventures. Congratulations on this great achievement! I admire you a lot. You are inspiration to everyone. Hope you achieve more and more..
میخواستم اگه امکان داره عکسای شمارو تو فضا تو میلم داشته باشم. خانم انصاری اندازیه تمام ستارگان عالم شما را دوست می داریم برایتان چند تا کامنت گذاشته ام نمیدونم آنها را مطالعه نموده ای یا نه اما بدانید هم اینک با احساساتی بسیار بسسیار رقیق با چشمانی پر و تپش قلبی بالا برایتان می نویسم . u be tanhaiee maye eftekhare iran zamini. baraye man eftekhari bas azim ast ke comment baratun mizaram. kash mishod ba tavajoh be andishe haiy ke u darin va ahdafi ke behesh residin naomidani mesle man va amsale mano ershad befarmain…. I am proud of you Iranian woman , and I am happy yor are fine right now. I think you did a fabulous job firstly for yourself and then for pepole entire the world . خوشبحالت كه هم پول داشتي و هم اجازشو. i have heared to you want to make a base in (Ra sol kheyme) in EMIRATES for tourists of space. i want to ask you why you dont make it in iran?if you need help me and my friends are ready to help you.i can even help you to make this place by help of iran government.how ever i hope to at least tell me whats the problem and why we should make and spend our money in a arab countrie which were our enemies from past untill now.belive it i can help you and i am ready to do every thing witch is possible.you are not the first people who have problem with government of iran so please try to solve it .be sure yet there are good and honest people in iran and government.please try it one more time. i wish you think more a bout this problem. i want to tell u somthing personal, it’s about u’r tour. Ma too iran nemitoonim hatta iek safar be shomal berim. chon kharja balast. oon moghe shoma 2.000.000$ kharj kardi. hagh dari management ie sherkati bayad ham beri faza. kholase ma ham arezoohaiee dashtim ke paeentar az faza raftan bood ke nashod. فقط ميخواستم از تلاش و موفقيتتون ابراز خرسندي كنم و بهتون تبريك بگم . حقيقتا شما نقطه عطفي در افتخارات ايرانيان خواهيد بود و نام شما باعث غرور و سرافرازي ايران ميباشد. اميدوارم در تمامي لحظات زندگي موفق و پيروز باشيد. albate na be khatere 20 milioni ke kharj kardid ! omidvaram safare badi be zoodi be MERIKH bashe! Anousheh jon, I can not tell you how proud I feel to have an Iranian and an Iranian woman earn the level of success that you have and choose the path that you have and still be so down to earth (khaky). You are a truly amazing lady and from what I gather a beautiful human being as well. And listening to your husbands voice, I can tell he is also as wonderful. I wish health, safety and more prosperity in all your endeavers. You have my families’ best wishes and support. i am an azeri-irani from houston. you have been in houston and kazakhstan. the name BAIKONUR means “owls landing”, in Turkish. Owl is a kind of symbol in Turkish-speaking lands just as eagle and falcon are in some other countries.. and You are the Falcon of change for Iranian society and spirit. I hope ladies like You, Azer Nafisi and Shireen Ebadi start and expediate the Iranian renaiscence. I do not intend any political intonations; only mindset and attention to science and reality is intended. You also have set up funds and organizations for the advancement of various endeavors(from IT to aerospace); Why not start a scholarship fund under Your respected name for sending bright students from iranian colleges and universities, and even high-schools if they’re recognized as such to top schools around the world. I am sure of two things: -they wouldn’t fail You, and -many Iranian entrepreneurs and rich across the globe and within Iran itself, would rush in with great pleasure. As You might have heard upon Your landing in Kazakhstan and the same comes from the hearts of many Iranians: Khosh Geldin:Yashasin Khnom’e Anoushe Ansari. man ye javone 20 sale az iran va az shahre ahvaz hastam man kheili ziad be karhaye shoma alaghemand hastam va shomaro na az moghei ke azm safar be faza ro dashtid balke az kheili vaghte pish,daghightar begam az zamani ke shoma jayezei ro tarh kardid baraye kesani ke fazapeymahaye shakhsibesazan mesl spaceship #1 age esmesh ro eshtebah nagofe basham. man javoniam ke alagham be dars ye chize zaty bod va hamishe toye madrese agar joze shagerdhaye khob nabodam laaghal motevaset bodam vali be elat ye tasmim ghalat alan va raftan be reshteye riazi yani reshtei ke hich monasebaty ba on nadashtam baes shod ke man natonam mesle gozashte be dars beresam va alan be jaye daneshgah bayad be sarbazi beram.inha ro goftam vase shoma ke ye darde del karde basham ba kasi ke eftekhare hameye mardome irane man az on ghesmat hrfhaton ke dar morede labkhand zadane besyar dars gereftam va vaghean natije gereftam.dige email man dare tolani mishe pas haminja tamomesh mikonam man kheli dost daram az tarigh ye kanal ertebati mostaghiman ba shoma harf bezanam ghatan chize jalebi khahad bod.be omid movafaghiat. Time to close comments on this post — please go forward to the future.